ECWA Code Red The VOC Nation Radio Network airs live and on-demand programming 7 days per week via vocnation.com, and features notable contributors such as Pro Wrestling Illustrated Contributing Writer Brady Hicks, WCW star The Stro, WWE and TNA wrestler Shelly Martinez, independent wrestlers Marcus Waters and Cory Kastle, wrestling journalist and author Steve Anderson, and more! Plus commentary from some of the best covering entertainment, wrestling, sports, and lifestyle, including Kathie Fitz, Derrick McDonald, Matt Grimm, "King" David Lane, Dr. John Stamey, Dean Dixon, Dan Colacicco, Craig Liggeons, Chris Best, Dean Compton, Marlon Dinkins, Marcus Waters, Cory Kastle, Rick Connor, and more! Consistently ranking in the top 1% of programs for downloads by both Blogtalk Radio and Podomatic and the top 5% of streaming programs by Stitcher Internet Radio, the VOC Nation Radio Network has been visited by nearly a half a million listeners! Discover the network that top-notch wrestling and entertainment stars such as Hulk Hogan, Jesse Ventura, Trina Michaels, and Alan Thicke have loved from their first appearances ... and that US Olympic Gold Medalist - and WWE star - Kurt Angle called, "The best talk show that you can hear." It's all here ... on vocnation.com! IN THE ROOM The VOC Nation Radio Network airs live and on-demand programming 7 days per week via vocnation.com, and features notable contributors such as Pro Wrestling Illustrated Contributing Writer Brady Hicks, WCW star The Stro, WWE and TNA wrestler Shelly Martinez, independent wrestlers Marcus Waters and Cory Kastle, wrestling journalist and author Steve Anderson, and more! Plus commentary from some of the best covering entertainment, wrestling, sports, and lifestyle, including Kathie Fitz, Derrick McDonald, Matt Grimm, "King" David Lane, Dr. John Stamey, Dean Dixon, Dan Colacicco, Craig Liggeons, Chris Best, Dean Compton, Marlon Dinkins, Marcus Waters, Cory Kastle, Rick Connor, and more! Consistently ranking in the top 1% of programs for downloads by both Blogtalk Radio and Podomatic and the top 5% of streaming programs by Stitcher Internet Radio, the VOC Nation Radio Network has been visited by nearly a half a million listeners! Discover the network that top-notch wrestling and entertainment stars such as Hulk Hogan, Jesse Ventura, Trina Michaels, and Alan Thicke have loved from their first appearances ... and that US Olympic Gold Medalist - and WWE star - Kurt Angle called, "The best talk show that you can hear." It's all here ... on vocnation.com! 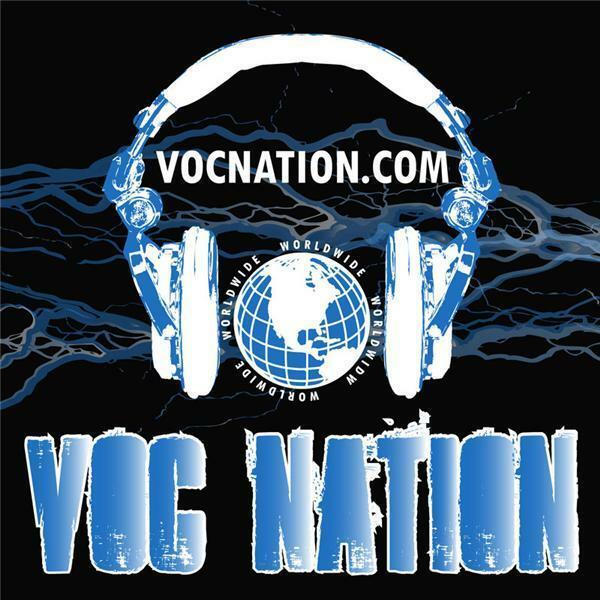 VOC Wrestling Nation The VOC Nation Radio Network airs live and on-demand programming 7 days per week via vocnation.com, and features notable contributors such as Pro Wrestling Illustrated Contributing Writer Brady Hicks, WCW star The Stro, WWE and TNA wrestler Shelly Martinez, independent wrestlers Marcus Waters and Cory Kastle, wrestling journalist and author Steve Anderson, and more! Plus commentary from some of the best covering entertainment, wrestling, sports, and lifestyle, including Kathie Fitz, Derrick McDonald, Matt Grimm, "King" David Lane, Dr. John Stamey, Dean Dixon, Dan Colacicco, Craig Liggeons, Chris Best, Dean Compton, Marlon Dinkins, Marcus Waters, Cory Kastle, Rick Connor, and more! Consistently ranking in the top 1% of programs for downloads by both Blogtalk Radio and Podomatic and the top 5% of streaming programs by Stitcher Internet Radio, the VOC Nation Radio Network has been visited by nearly a half a million listeners! Discover the network that top-notch wrestling and entertainment stars such as Hulk Hogan, Jesse Ventura, Trina Michaels, and Alan Thicke have loved from their first appearances ... and that US Olympic Gold Medalist - and WWE star - Kurt Angle called, "The best talk show that you can hear." It's all here ... on vocnation.com! WCW Retro with The Stro The VOC Nation Radio Network airs live and on-demand programming 7 days per week via vocnation.com, and features notable contributors such as Pro Wrestling Illustrated Contributing Writer Brady Hicks, WCW star The Stro, WWE and TNA wrestler Shelly Martinez, independent wrestlers Marcus Waters and Cory Kastle, wrestling journalist and author Steve Anderson, and more! Plus commentary from some of the best covering entertainment, wrestling, sports, and lifestyle, including Kathie Fitz, Derrick McDonald, Matt Grimm, "King" David Lane, Dr. John Stamey, Dean Dixon, Dan Colacicco, Craig Liggeons, Chris Best, Dean Compton, Marlon Dinkins, Marcus Waters, Cory Kastle, Rick Connor, and more! Consistently ranking in the top 1% of programs for downloads by both Blogtalk Radio and Podomatic and the top 5% of streaming programs by Stitcher Internet Radio, the VOC Nation Radio Network has been visited by nearly a half a million listeners! Discover the network that top-notch wrestling and entertainment stars such as Hulk Hogan, Jesse Ventura, Trina Michaels, and Alan Thicke have loved from their first appearances ... and that US Olympic Gold Medalist - and WWE star - Kurt Angle called, "The best talk show that you can hear." It's all here ... on vocnation.com! SUPER 8 SHOWCASE: IN THE ROOM with Lance Anoa'i and Brian Pillman, Jr.